the official game of the biggest football tournament- FIFA if you are a football fan then you will suerly like it! Fifa 2010 has come with fascinating graphics, very easy gameplay, smooth controlling etc. You can play this game almost in every android devices. QVGA & HVGA both are supported. -REAL LEAGUES. REAL TEAMS. REAL PLAYERS. 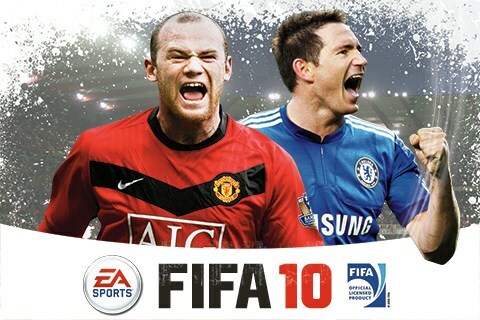 make you own future superstar – ONLY with FIFA 10 by EA SPORTS™. Track your player through multiple seasons and earn skills in competition against the world’s finest players! 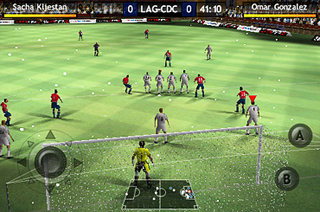 4. extract the data folder and copy the com.eamobile.Fifa folder in your sd-card/data/data. 7. go to "default open gl settings" and tik- "reduce texture quality also tik- "reduce texture size", then go to use plugins (right under "reduce texture size) and select "QUALCOMM"
this is because u have put the data in wrong place. you have to make a folder named "data" in your sdcard then open that "data" folder and again make a folder name "data" than extract the fifa 10 data here! oh bro! just go to controls and change it to joystick! Does this run on sgy duos?? OH bro! what the hell wrong with you guys? The data files are only 27 MB! and that's all you need! no brother no! 28 mb is the required file size and i have uploaded the same. Ohhhh the main question is .. does it work on ics fusion rom? will rooting remove all my contacts of the phone? Hey when i completed the download of your files the installation icon is appearing. When i am clicking on it it tells nothing. Pls Reply!!! !